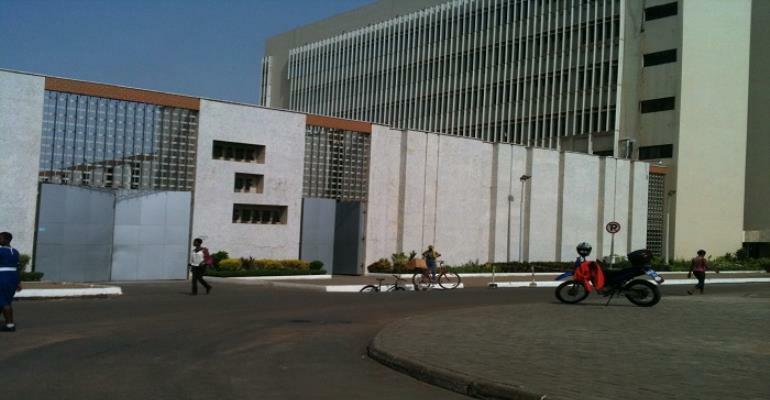 Total bank assets as at the end of February 2019 has stood at GH¢108.9 billion, the Bank of Ghana (BoG) has said. According to Dr. Ernest Addison, Governor of the Bank of Ghana (BoG), who disclosed this yesterday at a Monetary Policy Committee (MPC) press conference in Accra, the amount represented an annual growth of 14.5 percent. He said an assessment of the banking sector showed that the recently recapitalized banking sector is profitable, liquid and solvent. Dr Addison said such performance mirrored strong growth prospects, noting that in the first two months of 2019, the banking sector posted a stronger after-tax income. The Governor said the growth in banks' total assets was funded mainly from increased deposits and equity injection from the recapitalization exercise. The recapitalization exercise ended in December 2018, with some indigenous banks failing to meet the GH¢400 million requirement. However, the Governor said key financial soundness indicators of the industry had also improved since then, with the capital adequacy ratio (CAR) recording 21.7 percent in February 2019. The 21.7 percent CAR, he said, was significantly higher than the prudential requirement of 10.0 percent. He revealed that the improved solvency enhanced the banking sector's capacity to deepen financial intermediation and strengthen banks' resilience to shocks going forward, adding that profitability ratios improved while liquidity measures remained broadly adequate. The Central Bank Governor further said that the Non-Performing Loans (NPL) ratio of banks declined from 21.6 percent in February 2018 to 18.2 percent in February 2019, signaling some moderation in the industry's exposure to credit risk.